More than 50 people reported feeling sick after bear spray was accidentally released at an Amazon facility in NJ. Brian Thompson reports. 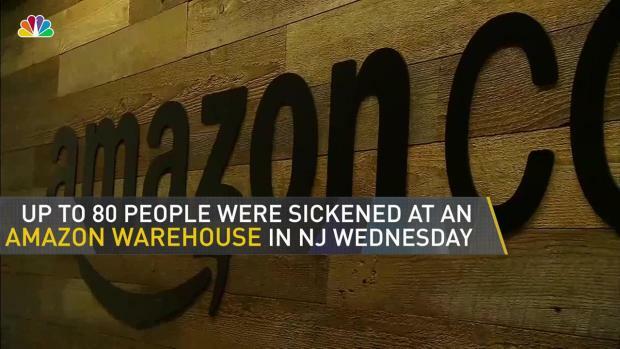 The primary complaint was difficulty breathing; Amazon says in a statement its employees' safety is "our top priority"
More than 50 employees at a sprawling Amazon fulfillment center in New Jersey were sickened, two dozen of them hospitalized, Wednesday after a robot punctured a can of bear repellent, causing it to discharge, authorities say. A total of 24 workers were sent to five hospitals; the primary complaint was difficulty breathing, officials said. Other complaints included a burning sensation in the eyes and throat. Robert Wood Johnson Hospital confirmed it was treating nine patients, one of whom had to be intubated and went to the ICU. The other patients were walk-ins; the severity of their issues wasn't immediately clear, a spokesperson said. The first dispatch call to 50 New Canton Way came in around 8:29 a.m. "Patrol you have an assignment ... for strange odor and sick person," was heard on emergency radio. 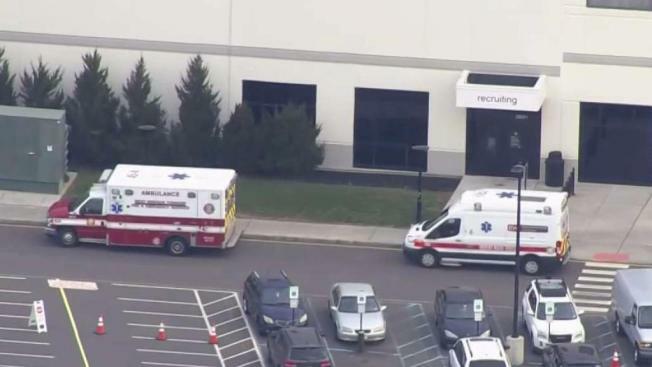 About 80 people reported feeling sick and up to 20 were hospitalized after bear spray was accidentally released at an Amazon facility in NJ. A Robbinsville town spokesman initially said an aerosol can fell off a shelf on the warehouse's third floor, prompting an evacuation of one wing of the facility. Robbinsville police, however, later said an automated machine punctured a 9-ounce can of bear repellent, which contains a highly-concentrated active ingredient known as capsaicin that can produce a burning sensation. First responders conducted triage outside, and more than a half-dozen ambulances were said to have been dispatched to the center. The 1.3-million-square-foot facility employs more than 3,000 people. Amazon released a statement confirming a "damaged aerosol can" released strong fumes in a contained area of the fulfillment center. "The safety of our employees is our top priority, and as such, all employees in that area have been relocated to safe place and employees experiencing symptoms are being treated onsite," the statement said. By 10:30 a.m. or so, the scene had cleared and employees had returned to work. No odors were present shortly after 1 p.m., police said. The West Windsor Health Department planned to return to the center Wednesday evening or Thursday morning to conduct an inspection as a precaution. The mega-retailer sells multiple brands of bear repellent, essentially a form of pepper spray, on its site in can sizes as big as 10 ounces. It wasn't clear which brand caused the issue Wednesday. At least one of the cans has a big red DANGER warning on the outside indicating exposure could cause temporary eye irritation and other issues. In a statement Wednesday evening, Amazon said that all of the sick employees were "expected to be released from the hospital within the next 24 hours." "The safety of our employees is always our top priority and a full investigation is already underway," the company said. "We'd like to thank all of the first responders who helped with today's incident."